The six-acre Historic Union Cemetery in Redwood City, California runs unobtrusively along Woodside Road where it sits adjacent to a plant nursery and is bordered on other sides by boring boxy 1960s housing. The cemetery was established in the mid-nineteenth century and is inhabited by – among others – soldiers of the American Civil War who died after they were mustered out and members of the sadly depleted but happily still extant Metamora Native American Tribe. No surprise this: the cemetery is said to be haunted. If so, our delightful afternoon of stalking the wild tombstone, while fun for us, was apparently of little interest to the inhabitants. The day was uneventful. I was test-driving a modest digital camera, which was new to me that week and died not long after this expedition. The photograph to your right, Portrait of a Photographer is a portrait of my friend and fine art photographer, Wendy Alger. I guess it might be more correct to say it’s a portrait of the camera not the photographer, though it was meant to capture the spirit in which Wendy works. I took the photograph some years ago during out trek through Historic Union Cemetery in Redwood City, California. Wendy pursued her art and I was chauffeur and tag-along doing the best I could. My own portrait here is a selfie captured using the photo feature on my MacBook. Happy interNational Photography Month. The battered metal steamer trunk in my living room, a family heirloom, is crammed full of memories. Sturdy sides hold every photo album and scrapbook that was bestowed upon me in the weeks following my father’s death*. This pile of memories is like a divination tool. I open the lid and dig in then something useful bubbles to the surface. Something I’ve never seen before or something familiar, but always just the thing I need to see. One stapled stack of papers catches my eye today. It contains a perfect wood pulp circle of life: my paternal grandparent’s birth certificates, their marriage license, and both death certificates. Their entire lives are covered off in five pages. On my grandmother’s death certificate, it lists, “oat cell cancer to left lung” under the cause of death. Oat cell. Doesn’t that sound very grandma-ish? Like warm oatmeal and a hug, however, a short Google search advises that oat cell is among the most aggressive forms of lung cancer. Besides, my grandmother wasn’t very oatmeal and hugs anyway. She was something much more urbane. Which makes her bigger than life in my memory. When I was about seven, my paternal grandparents made a visit to New Mexico to attend my first communion. My dad grew up in South Bend, Indiana, which to this desert kid may as well have been on the other side of the universe. In the mid-seventies, Albuquerque wasn’t a very evolved place. Our airport was a small building the color of dry grass next to a hot concrete tarmac shared with the air force base. The waiting area had memorable soft leather chairs on sturdy wood frames. I’d sink into the smell of leather and through large picture windows watch the planes fly in over the Sandia Mountains. Passengers would disembark down sturdy metal stairs, eyes blinking in the bright desert sun. That day I stood there, clutching at my mom, both scared and excited to meet my dad’s parents. “There they are,” my mom said. “Where?” I asked, perking up. I looked. Making her elegant way off the plane was my white-haired grandmother. She wore a dress, pearls, stockings and heels. On top of it all she wore a fur-lined overcoat. No one wore fur, much less an overcoat, in New Mexico. She carried herself like a movie star, the regal matriarch of my father’s family. Her lipstick was flawless, her porcelain skin showing nary a wrinkle. Behind her tottered my grandfather, a tall man with a lined face wearing a good suit and a hat. Always a hat. These people were like something out of a novel. They were big city. Granted, South Bend is no great shakes, but they flew in from Chicago and looked it. To me they seemed worldly, intelligent, and jaunty in that “Great Gatsby” kind of way. 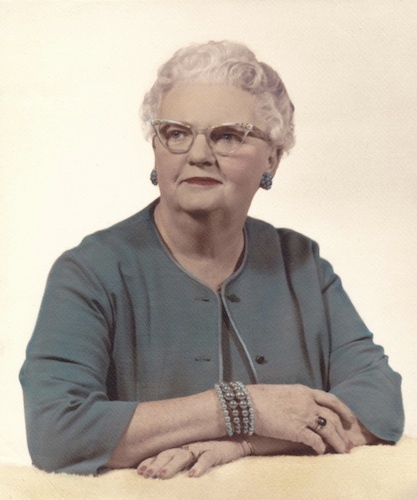 My Grandmother smelled of perfume and powder and my Grandfather of cigarettes and hair oil. I was in awe. My mother was visibly intimidated by them both so I followed suit. My 1970’s fashionable bell-bottom jeans and ratty t-shirt now felt tacky and under-dressed, as elegance had just hit our dry, desert wilderness. Over the course of the visit, I tried desperately to reconcile myself to these people; my family. 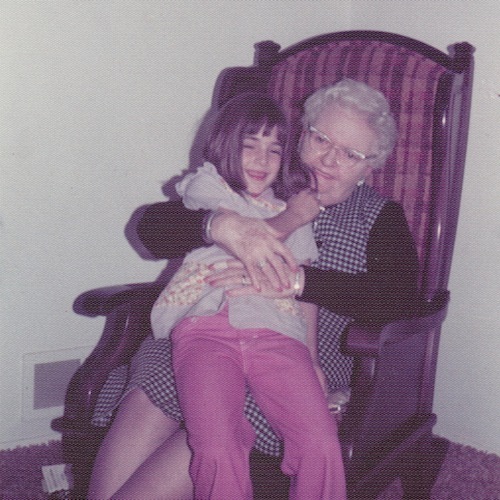 I clung to my mother, a shy doe-eyed girl from Oregon who in later years would confide to me just how much her in-laws scared the bejeezus out of her. I understood why. At breakfast one morning, Grandmother sat chain-smoking, leaving perfect lipstick rings on the filter while Grandfather sat quietly, acquiescing to her, always. Something my dad had said made Grandmother mad, and she spoke harshly, her Irish temper flaring. She shouted down my father, something no one I knew had ever done. I fled from the room, scared out of my gourd. No one talked back to my father and got away with it. I think that terrified me more than the shouting. I’d managed to bond with my gentle, comedic Grandfather and did my best to studiously behave in front of my Grandmother, lest she turn her overpowering temper on me. Several days into the visit, while having an early evening happy hour, my mom cracked open a can of smoked oysters and Grandmother clapped her hands with glee, as this was a favorite treat. She prodded me to try one. It looked like a globby, gray pencil eraser doing an oily shimmy on a cracker. Wanting desperately to somehow connect with this elegant woman, I took the offering like receiving communion, and chewed. It was tasty and I smiled. Grandmother was pleased, and handed me another, which I quickly ate. She wrapped an arm around me and pulled me close to her warm, fleshy side. We were worlds apart, and yet, our mutual love of good food held the power to close the gap. In the years that followed, I wouldn’t be able to explore any more potential common ground. South Bend and Albuquerque were just too far apart, and it was five years later that my grandmother died. It was the only time I ever saw my father cry, and at age twelve, my first experience with cancer. I wish I’d known my grandmother more. I wish I could find more ways to say, “oh, I’m just like her” but I can’t. She was like a shooting star, in my mind a brief bit of glorious celebrity, stolen away far too quickly by the oat cells. © Karen Fayeth, copyright 2011, all rights reserved. The family photos of the author and her grandmother are covered under copyright. Please be respectful. We feel this book review puts a fine close on our series, Perspectives in Cancer. Writing as a healing art, whether as a purely personal exercise or for publication, is powerful. One of the authors of Writing Your Self, Myra Schneider, learned that with her much appreciated work,Writing My Way Though Cancer. That effort informs much of Writing Your Self. This review was originally published at Musing by Moonlight. Four of Myra’s poems were published earlier in this series. The subtitle of this book about writing is “transforming personal material.” I think it is implicitly also about personal transformation. It always seems to me that writing and reading about life is a healing activity, a way to live hugely, and a way to empower ourselves and others. If we can do it well enough to engage others, whether our purpose is to leave a record behind for family, to set the record straight, or simply to share and entertain, the experience is rewarding. Writing is a powerful healing path. I think Chapter 13 alone is worth the price of admission. I work a lot off of childhood memories and even the event that happened two minutes ago comes back to me with dreamlike qualities when I sit to write. I have not thought of the things I do naturally as triggers, but indeed they are. It was quite interesting to see these natural aids laid-out and organized on the page to read: objects and place as starting points, physical sensation as triggers, people in memory, and predominant feelings. The section on secret letters – that is, letters that you write someone and never send – was particularly interesting. I’ve only done this twice in my life, but I know some folks who do it all the time. I’m sure it is a common practice and would make a fine jumping-off point for some and a satisfactory exercise – complete in itself – for others. The authors go on to monologues and dialogues, which certainly everyone spins in their heads. They discuss visualization. Hey, if you can see it, you can write it. 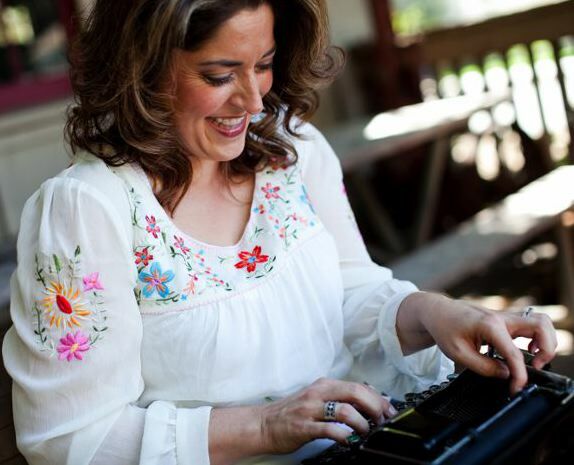 Jamie Dedes ~ Jamie is a former freelance feature writer and columnist whose topic specialties were employment, vocational training, and business. She finds the blessing of medical retirement to be more time to indulge in her poetry, creative nonfiction, and fiction. She has two novels in progress, one in final edits, and is pulling together a poetry collection. Her primary playground is Musing by Moonlight. She is the founder and editor/administrator of Into the Bardo. Jamie’s mother was diagnosed with cancer the first time at thirty-six. 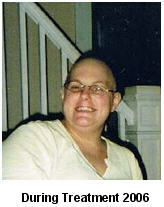 She went three rounds with breast cancer, one with thyroid cancer, and died at seventy-six of breast and colon cancer. “All human beings need the company and support of others. We create our world together. But community can be a tremendous challenge for someone who must spend a lot of time in bed or must suddenly take to bed in spite of plans to be with others. The Dharma places a very high value on community, which is called sangha. 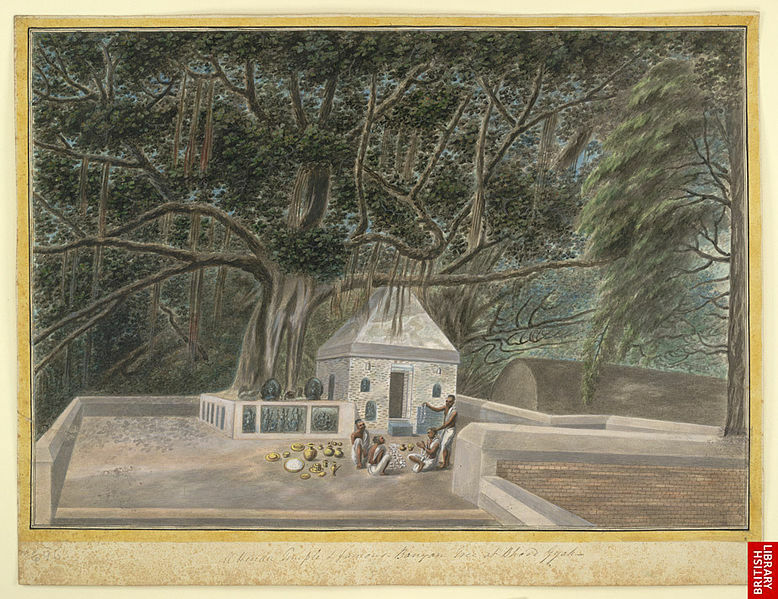 The word originally referred to the disciples of the Buddha. It then evolved to include Buddhist monks and nuns. Today sangha refers to the entire spiritual community that supports a practitioner . . . .
“Before I got sick, I was active in several Buddhist sanghas. I co-hosted a weekly meditation group with Tony [Toni’s husband]. We used a local meeting hall every Monday night. At least once a month, I would lead the sitting and then give a talk. We also hosted a monthly group at our house in which we discussed Dharma readings that Tony and I chose and distributed each month. The readings were the starting point for a spirited and often humorous two hours of reviewing our lives since we last met. This was sangha at its richest for me. Tony still hosts this group at our house. “When I got sick, I could no longer participate in these activities, even though the meeting hall is three blocks away and the monthly group is a room away . . . . In addition to losing this precious source of spiritual support, I had to adjust to the social isolation that accompanied the illness like night follows day. © text and cover art, Toni Bernhard, 2011 all rights reserved. Blogged here with the permission of the author. No reblogging without Toni Bernhard’s permission. Video uploaded to YouTube by howtobesick. I’m the author of “How to Be Sick: A Buddhist-Inspired Guide for the Chronically Ill and Their Caregivers” (Wisdom Publications 2010). The theme of the book is that illness and wellness are not mutually exclusive. Our bodies may be sick or otherwise disabled, but our minds can be at peace. For reviews and other information, including where you can order the book, please go to How To Be Sick. Toni Bernhard fell ill on a trip to Paris in 2001 with what doctors initially diagnosed as an acute viral infection. She has not recovered. In 1982, she’d received a J.D. from the School of Law at the University of California, Davis, and immediately joined the faculty where she stayed until chronic illness forced her to retire. During her twenty-two years on the faculty, she served for six years as Dean of Students. she do about work, would everyone lose respect? about her children and her Joe, what would he expect? frizzy, or wind-blown, now she combs with flair. Dan Roberson ~ lives in Kansas City, Missouri. He says, ” I celebrate life. I retired from teaching and now I’m looking for new parades to lead, or to follow. I’m alone, still hoping to be a published author, and trying to stay on my chosen path. I have no anchor to hold me down and I’m ready to rid myself of possessions that impede progress. I want my imagination to soar. I’m open to learning about new worlds, new countries and languages, and different ways to look at things I thought I knew. Every day is a bonus day and I look forward to the challenges it brings. I’m finding out that technology is fast and getting faster and there is much information that I need to learn.” You’ll find Dan at My Blog. Jamie Dedes ~ is a former freelance feature writer and columnist whose topic specialties were employment, vocational training, and business. She finds the blessing of medical retirement to be more time to indulge in her poetry, creative nonfiction, and fiction. 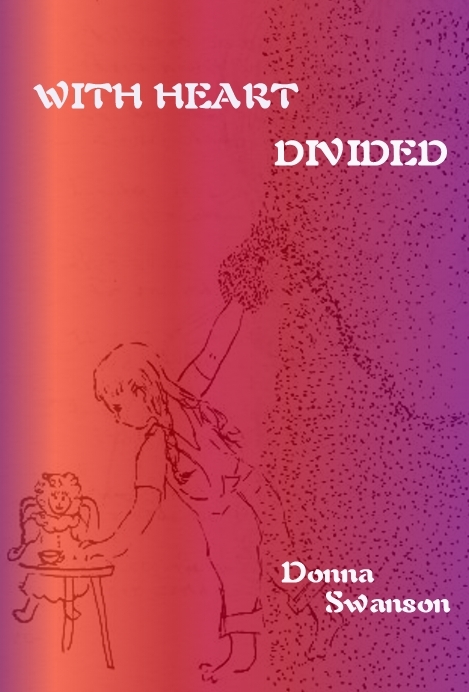 She has two novels in progress, one in final edits, and is pulling together a poetry collection. Her primary playground is Musing by Moonlight. She is the founder and editor/administrator of Into the Bardo. Jamie’s mother was diagnosed with cancer the first time at thirty-six. She went three rounds with breast cancer, one with thyroid cancer, and died at seventy-six of breast and colon cancer. When my mother’s best friend, Katherine, became ill with stomach cancer, her daughter enlisted Katherine’s friends to be of support as she went through her chemotherapy treatment and subsequent recuperation. Her daughter lived out-of-state and had a medical practice and could not be with her day-to-day. I had known Katherine my entire life. She was one of the most positive, bright lights I had ever known. Her daughter and I had spent much time together as children, which included many hours swimming in the beautiful lake that they lived on. Katherine’s husband had died many years prior. Her daughter was very organized and efficient with setting up people in shifts to take turns staying with Katherine during her illness. Sometimes this included remaining overnight with her. But Katherine had a very independent nature, even at age 87, and at times would insist that she was OK and send us home. Her daughter had tried her best to convince Katherine to move to North Carolina and stay with her family, but Katherine always refused. She had been there for over 50 years. During one afternoon, she confided in me that she would never leave her beloved home on the lake. The house had an enclosed porch that overlooked the water and we would sit out there for hours as we talked and relaxed. Her eyes would occasionally scan the lake and she would comment on a bird that had caught her eye or an activity by a neighbor around the water’s edge. We were able to share ourselves like never before. She regaled me with all kinds of stories from her past and shared intimate feelings. She told me she was totally at peace and was not fearful of death. I felt somehow as if I were a vessel for her to pour her heart into and was so grateful that I could be of service to her in this way. I marveled at her serenity during this difficult time. There was no “battle”, just gentle, quiet acceptance and the allowing of what was. She illustrated to me what it meant to live in the moment. Her ease and even emotions were a gift to me as well. One day she tired as we had been sitting on the porch for quite some time and so we retired to her bedroom. Climbing into her bed, I propped myself next to her as we watched television. A short time later, as I noticed her eyes getting heavy, I told her I would leave and let her sleep. Lowering myself down on the bed so I could look into her eyes, I held her hands in mine and told her how much I loved her. She smiled at me with beaming love in her clear, sweet, blue eyes and told me how beautiful I was. Tears pooled in my eyes as I realized, in that moment, what grace she possessed. Katherine died quietly in her sleep with hospice in attendance several months after her diagnosis. Her bedroom window was open to the lake. 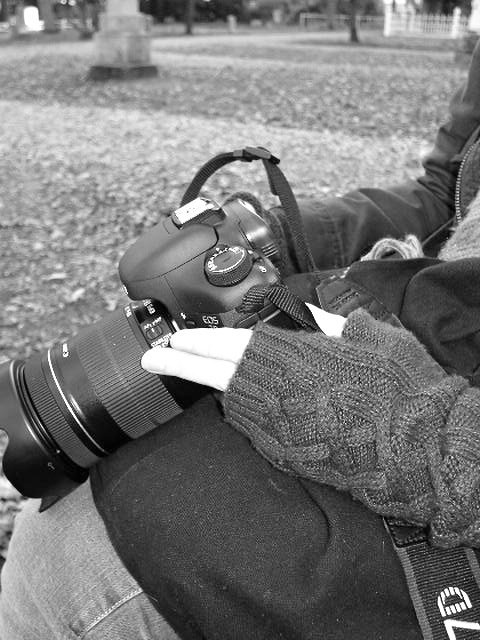 © photograph and essay, Gayle Walters Rose, 2011. All rights reserved. No re-blogging or publishing without the permission of the author. 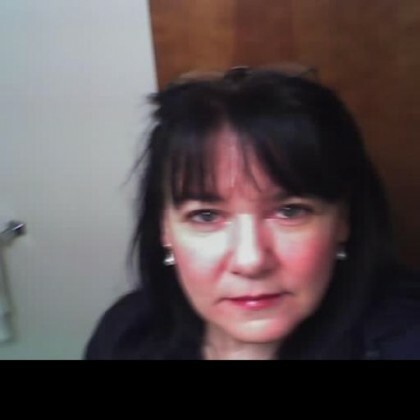 Gayle Walters Rose ~ lives in Winter Park, Florida and has been blogging since August of 2010. She is an adventurous writer, experimenting with various forms of poetry and with fiction and creative nonfiction.Gayle comes from a large family, and she is the mother of grown daughters. Much of her writing is about nature or things of the spirit. Early in life, she lived in an ashram and often shares that experience and its lessons. Gayle’s favorite quote is “Never think there is anything impossible for the soul. It is the greatest heresy to think so. If there is sin, this is the only sin; to say that you are weak, or others are weak.” (Swami Vivekananda) You’ll find Gayle blogging at Bodhirose’s Blog, where she is much appreciated by the online poetry community for her fine work and because she is genuine. Cookies for Kids’ Cancer, a 501(c)3 non profit, was founded by parents inspired by their son Liam’s battle with cancer. They were shocked to learn that the main reason over 25% of kids diagnosed with cancer do not survive is because of a lack of effective therapies. And the reason for the lack of therapies was very simple: lack of funding. They pledged to support the development of new and better treatments by giving people a simple way to get involved. Make a difference by joining the mission to find a cure for pediatric cancer. There are many ways to support Cookies for Kids’ Cancer. Hosting a bake sale is a sweet and simple way for people everywhere to get involved in the fight against pediatric cancer. Send our cookies for birthdays, anniversaries, or just because. Our cookies taste as good to eat as they feel to give. Cancer claims the lives of more children annually than any other disease ” more than asthma, muscular dystrophy, multiple sclerosis & AIDS combined. Gretchen and Larry Witt founded Cookies for Kids’ Cancer in 2008, just a few short months after the success of their first cookie sale during the holidays 2007. Their efforts have always been inspired by their son Liam who was diagnosed with stage 4 cancer in 2007 at the age of 2. Tragically, Liam came to the end of his courageous 4-year fight with cancer on January 24, 2011 at the age of 6. Though devastated by his loss, the Witts remain more determined than ever to continue the fight against pediatric cancer. Feature photograph and article courtesy of cookiesforkidscancer.org. Video upload to YouTube by GladtoGive. Dakshima Haputhanthri ~ is from Sri Lanka. She is a writer and poet and a lawyer by profession. She says, “I am a simple mortal with an undying passion for writing … Writing gives me wings and I fly, thinking and wondering about life and how people refuse to reveal their true selves.” Dakshima blogs at Love Among Other Things. American entrepreneur, inventor, and founder, chairman and CEO of Apple, Inc. The transcript for this speech is HERE for those in areas that cannot access YouTube. 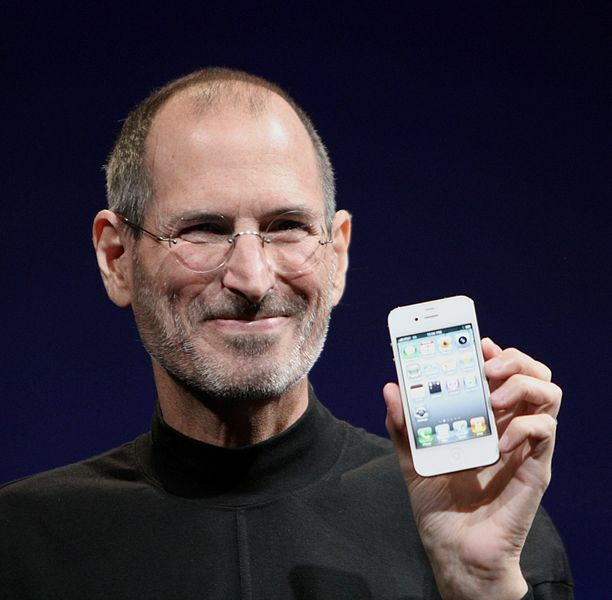 Photo credit ~ Steve Jobs shows off the white iPhone 4 at the 2010 Worldwide Developers Conference courtesy of Matt Yohe, his original work licensed under the Creative Commons Atribution-Share Alike 3.0 Unported license. Video upload to YouTube by Stanford University and copyrighted by it. I take a giant step into the tub. as the yellow daffodils trumpet? helpless area – is miles away. I’m reborn though maimed, ageing. of night, the way love fountains. © 2011, Myra Schneider, all rights reserved. This poem is posted on Into the Bardo with the permission of Ms. Schneider. Any further reposting requires her permission. Editor’s note: The opening poems of Multiplying the Moon are Myra Schneider’s response to her experience of terrible illness. In the aftermath of fighting breast cancer, she found herself writing poems that explore transience, death, and survival from many different angles. The main theme of `Voicebox,’ the long fictional narrative in the middle of the book, is communication; the poem follows the connections and disconnections between its main characters. 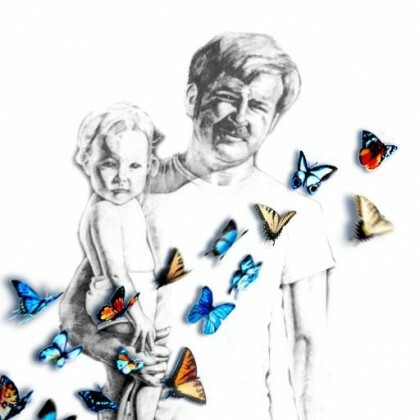 In a short poem sequence, the poet draws on findings from the 1901 census to re-create her father’s early life, and the understanding she gains helps her to feel a new closeness with him. This is united by the theme of investigation of the self and its relationship with the outside world. Myra Schneider ~ was born in London in 1936 and grew up on the Firth of Clyde. She is the author of four poetry collections from Littlewood, three novels for children from Heinemann, and has three poetry collections published by Enitharmon: Exits, The Panic Bird and Insisting on Yellow. With John Killick she has written Writing for Self-Discovery (Vega, Chrysalis Books) which was re-published in 2002. Her book Writing My Way Through Cancer, was published by Jessica Kingsley in 2003. The book is her fleshed-out journal from the year 2000 when she was diagnosed with breast cancer. It includes poem notes and poems and a section of therapeutic writing ideas. © 2011, cover art courtesy of publisher. All rights reserved. Editor’s note: The opening poems of Multiplying the Moon are Schneider’s response to her experience of terrible illness. In the aftermath of fighting breast cancer, she found herself writing poems that explore transience, death, and survival from many different angles. The main theme of `Voicebox,’ the long fictional narrative in the middle of the book, is communication; the poem follows the connections and disconnections between its main characters. In a short poem sequence, the poet draws on findings from the 1901 census to re-create her father’s early life, and the understanding she gains helps her to feel a new closeness with him. This is united by the theme of investigation of the self and its relationship with the outside world. Myra Schneider ~ was born in London in 1936 and grew up on the Firth of Clyde. 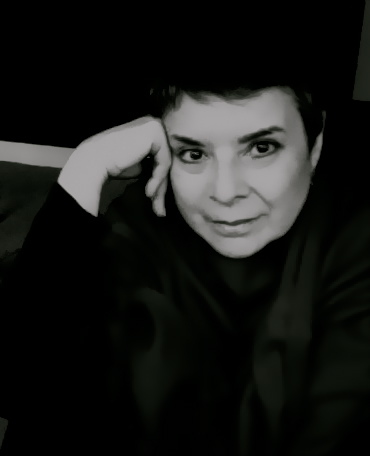 She is the author of four poetry collections from Littlewood, three novels for children from Heinemann, and has three poetry collections published by Enitharmon: Exits, The Panic Bird and Insisting on Yellow. With John Killick she has written Writing for Self-Discovery (Vega, Chrysalis Books) which was re-published in 2002. Her book ‘Writing My Way Through Cancer’, was published by Jessica Kingsley in 2003. The book is her fleshed-out journal from the year 2000 when she was diagnosed with breast cancer. It includes poem notes and poems and a section of therapeutic writing ideas. 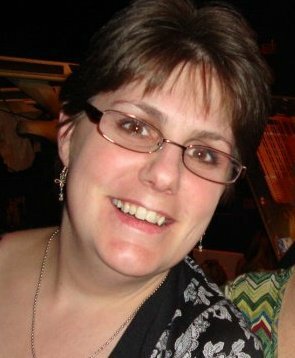 Cindy Taylor ~ Cindy is a freelance writer, a poet, editor and proofreader. She has an abiding passion for food and wine and an endearing zeal for life, which she shares with us on her award-winning food blog, The Only Cin. Cindy lives in Johannesburg, South Africa with her husband, daughter, and a fine cast of animal friends. Judging from photographs, she has a world-class kitchen and an abundance of red shoes. This month, a little more than most, I think about what I have been through, what I have lost, and what I have gained. I never ask, “why me?” I am always grateful it was me. I had my mother’s strength and my father’s stubbornness to get me through it. Someone else may not have been a lucky as I was…am. October is almost upon us and it is National Breast Cancer Awareness Month, but for some of us, those like me and our families, every month is breast cancer awareness month. When you hear those words, “you have cancer,” you are never more aware. That feeling, the awareness, it never leaves you. Tonight I sat with my daughter and watched a speech by Kelly Corrigan, breast cancer survivor and author. Emily and I held hands and cried together, grateful for what we have gained and all that we are lucky to still have…each other. For me, having treatment and getting on with my life was the only choice. IS the only choice. Surviving is the ONLY choice. Now, I use my experiences to make others aware of just how a diagnosis of cancer can change your life, even if it’s not you who is diagnosed. My cancer affected everyone around me: my parents, my husband, my little boys, and my daughter. Now I spread the word through my writing, my big mouth, and by walking the Avon Walk for Breast Cancer every year and raising money for research and other programs. © 2011 Lisa Maxwell, all rights reserved, this includes text and family photos. Please be respectful. Video uploaded to YouTube by APBSpeakers. Lisa Maxwell ~ periodically blogs about cancer on her mother’s site, PattiKen and the Muses. Lisa is a mother with three children and an educator who recently completed a master’s program. She is dedicated to promoting cancer awareness, early detection, and participation in events that encourage awareness and raise funds to support research, detection, and treatment. We are grateful that Lisa survived and is able to reach a helping hand out to others. Several years ago a brave and kind man started a local group for those of us with life threatening illness and our caretakers. Through it, it has been an honor and a privilege to meet people who remain heroic and funny and compassionate in the face of life’s great mystery, death. We want the same things: more life, less pain, less fear. We fear the same things: the unknown, will it hurt, will I feel cold and lonely, is there something, is there nothing, will I loose my “I”. We suffer remorse for the loss of ourselves and the time we won’t get. We wonder if in the end anyone will remember us. We fear separation from the people we love and of not being able to finish our work. We fear for our children and grandchildren if we are not here. Quite a number in our group have gone into remission or otherwise improved and moved on. Others we have lost to ALS . . . old age . . .Now we have lost Parvathy, the youngest, I believe, to cancer. I don’t think she made it to thirty-five. 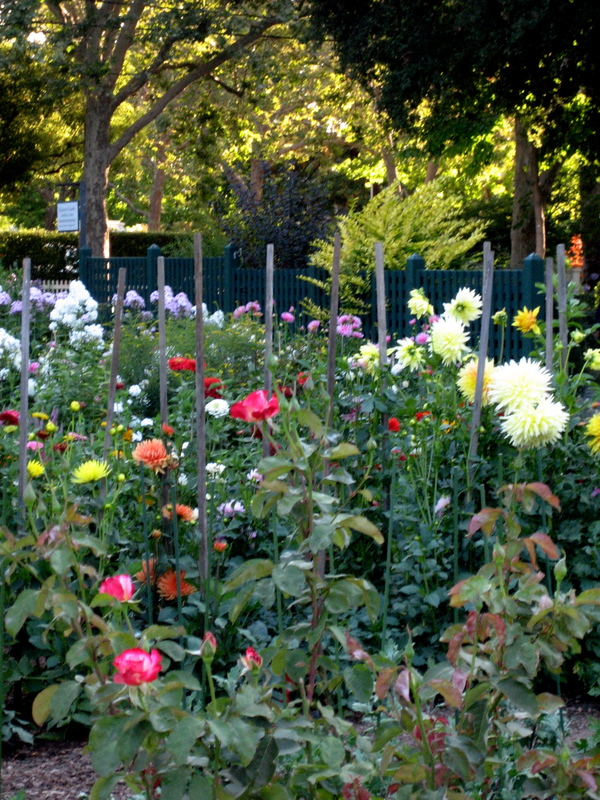 This summer before Parvathy died, I spent a day with her at Filoli Gardens. The flowers were stunning, but dull beside the glow of Parvathy’s inner grace and enjoyment of the day and its wonders, which are many at Filoli. We talked of life and of hopes for the future. She still hoped for a healthy resolution and a future that would include a child with her new, young husband. She had pursued a successful professional career, and there were things she wished to accomplish. We got tea in the cafe and then sat in the gardens to drink it. We were good company, I think, despite differences in age, culture, and education. We did have a bond, after all. It is a bond all humans share, but not all of us face up to or are confronted with in the context of terminal illness. For many of us, death comes slowly. First we give up a bit of our hearing, then a bit of our sight, then more than a little of our agility, height, and memory. Eventually, we heave a sigh and off we go, shedding the fleshy capsule. We have time to do things, to say good-bye slowly, to savor, to say to ourselves and others, “Hey, it was a great ride. No regrets.” Parvathy didn’t have time. It was all much too fast and much too painful. Her life had its high moments, certainly. She told me about some of them. But she did grow up in a war torn country. She lost a brother to war. She suffered from a terrible illness. She struggled with anger and remorse over these experiences. She tried to understand them and to understand a God who would do this to her and her family. In the end, she may have decided that her life had been good. I hope she did. I hope she could focus on the joys and find some peace. I wasn’t there. I don’t know. I just wished for her nothing less than what she wished for herself: a long life and less painful one. May your soul find peace, our dear, beautiful Parvathy. You are not and will not be forgotten. The warmth of your spirit lives on in our hearts. Umamahswari Anandane lives in India and is a poet, writer, blogger, and a self-described “simple woman.” She is an accomplished engineer with multi-lingual skills who discovered in herself a passion for writing poems and fiction. Ennai kandu peedi paarkalaam, her first novel, is in Tamil (a Dravidian language spoken predominantly by the Tamil peoples of the Indian subcontinent and the official language of Sri Lanka and Sinagpore) is due out in a few months. Find more of her poetry at Inside My Poem Book, a blog. 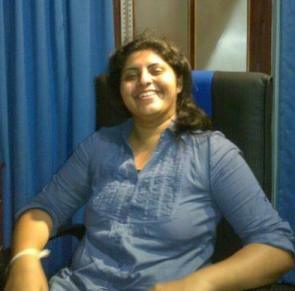 Uma also blogs at Perpetual Mind where, among other things, she explors Tamil arts and Vedic math. Hers is a mind that never stops. What do you say about dying? Holding a hand that is already like a skeleton with skin stretched over it? Standing in back of his lounge chair and putting your hands gently on his shoulders for fear of hurting him? Kissing the top of his head where only a few strands of those once thick curls remain? Saying, “I love you.” trying to make up for all those times you did not say it before? On the night before our son, Mac, died, Jacob stopped by his daddy’s chair on his way to bed and said, “Goodnight, Dad” Mac answered “Goodnight, Jake.” John and I and Dennie had been there all day and about 10:00 I went home to get some sleep. John stayed because Mac had begun to get really agitated in his hallucinations and he was afraid Mac, though weak, could throw himself out of his chair or hurt Shelby. At 5:30 the next morning the phone rang and Dennie said I’d better come quickly. By the time I arrived Mac had just won his war. Satan had played his last card, death, and though he won a battle, he lost the war. Mac died with his father’s arms around his shoulders and his wife’s arms holding him. Shelby let the boys sleep until the undertaker had gone, then she sat in her chair with a child held close under each arm and told them their Daddy had gone to Heaven. When we went with Shelby to make arrangements, the first thing she said was, “I never expected to be doing this at 33.” Both the visitation and funeral service were held in our Church for there was not enough room in the funeral home. The Director said he had never held a service with so many people in attendance. Shelby and John decided to bury Mac in the little cemetery about a quarter-mile from our home. Arrangements were made and now Mac’s grave is close by. Of course Mac is not there. He has changed the landscape of Heaven for us. No longer is it a place just to be talked about in sermons or read about in the Bible. Now it is where Mac is. And we wonder what he’s doing today. We see Heaven through the eyes of sorrow and joy. And death has truly lost its sting. My family has lost many members to cancer; two sisters, a brother, my mother and several cousins. When the battle is done and the tears have dried, the heart regains its equilibrium and life goes on. But for the poet, part of the healing process is putting into words our thoughts and the thoughts we see reflected in the eyes of our loved ones. These are written for my son, Mac, and my sister Jackie who died of ovarian cancer. that must last through eternity. and the miracle of a day renewed. for one last touch of mortality. But I watch from the shadows. Donna Swanson was born during the Great Depression in 1938 to an Indiana farm family.Youngest of eight children and a twin, she has lived her entire life in Warren County, Indiana. A high school graduate, she chose to marry and raise a family rather than attend college; although she took classes in art, Koine’ Greek and psychology after marriage. She has written nine books: Mind Song, published by The Upper Room in Nashville, TN; Rachel’s Daughters, The Windfallow Chronicles (a double trilogy), self-published; Splinters of Light, yet to be published, and the present autobiography. A poem, Minnie Remembers, has become a standard tool in the study of gerontology, made into a documentary film by United Methodist Communications, and given the Golden Eagle Film Award. It has been reprinted in most denominational publications and over twenty-five books. Mrs. Swanson is a Bible scholar and taught adult Bible classes for over forty years. She began prayer and share groups for women in two area Churches and hosted a teenage “rap” group in her home for four years. She counts among her mentors college professors, authors and ministers. Donna blogs at Mindsinger. © Karen Fayeth, copyright 2011, all rights reserved. The family photos are covered under copyright. Please be respectful. Karen Fayeth ~ A corporate executive, writer, blogger, photographer, and visual artist, Karen was born and raised in New Mexico and moved to the San Francisco Bay area in 1997. Her work blends the influences of Hispanic, Native American, and the deep rural soul of the American West along with her newer city-sense learned in places like San Francisco, Brooklyn, and Boston. She is an award-winning short-story writer, and her baseball photo Bromance was featured on Intential Talk, hosted by Chris Rose and Kevin Millar. New Mexico magazine recently published three features by Karen. She has one published novel and lives with her husband, a cat (Gypsy), and two Siamese fighting fish, Benito and Margaret. Karen’s grandmother died of lung cancer. Karen blogs at Oh Fair New Mexico. with every eye upon me. the garment and pull it off. holding in and shutting away. be alive every minute of your life. 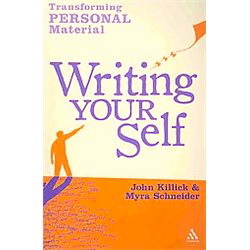 Myra Schneider ~ Myra is a poet, a poetry and writing tutor, and the author of Writing My Way Through Cancer and, with John Killick, Writing Your Self. 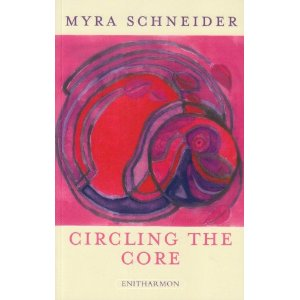 Her poetry collections, Circling the Core and Multiply the Moon, were published by Enitharmon Press. She has eight published collections. Her long poems have been featured in Long Poem Magazine and Domestic Cherry. 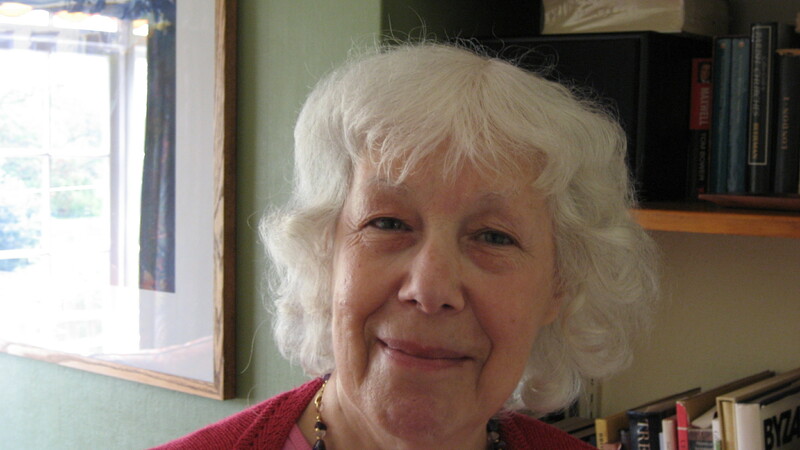 She co-edited with Dilys Wood, Parents, an anthology of poems by 114 women about their own parents. She started out writing fiction for children and teens. Currently she lives in North London, but she grew up in Scotland and in other parts of England. She lives with her husband and they have one son. She tutors through Poetry School, London.